Having established itself as a key guide to the best of whitewater and park and playspots within England this second offering adds further to the myriad of challenging steep brooks, classic trips on classic rivers, and previously unfamiliar offerings that is paddling in England. There are 340 river runs and playspots, with 90 new entries in this edition. 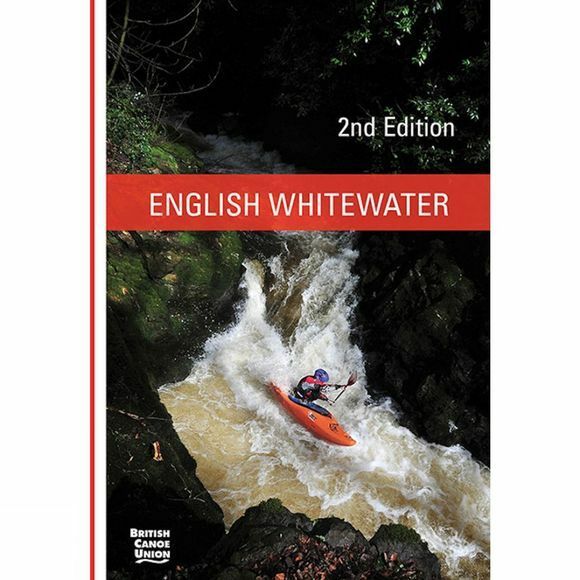 It is a comprehensive guide to the whitewater rivers, playspots, and artificial whitewater courses of England. The guide is illustrated with photos and maps, and the new format makes it even easier to find the information you need. The guide breaks down into five geographical areas: The South-West, The South and East, The North-East, The North-West and The West, with each of these areas being further divided into sections grouping rivers of the same locality. Generally these sections are based around the river basins of the larger rivers and work from upstream down; but we have made exceptions to this in an effort to ensure that the rivers appear in the book in the most useful order to the reader. English Whitewater is a collaborative effort on behalf of the British Canoe Union. From the involvement of the publisher Pesda Press, the regional co-ordinators and contributors, to the involvement of Local Waterways Advisers and the Coaching Service, this work reflects the collective experience and knowledge network of enthusiasts, all willing to share their perspective on England's many and varied rivers. Regional editors: South West–Mark Rainsley; South East–Andrew Jackson; North East and North West–Jim Pullen; West–Bill Taylor.